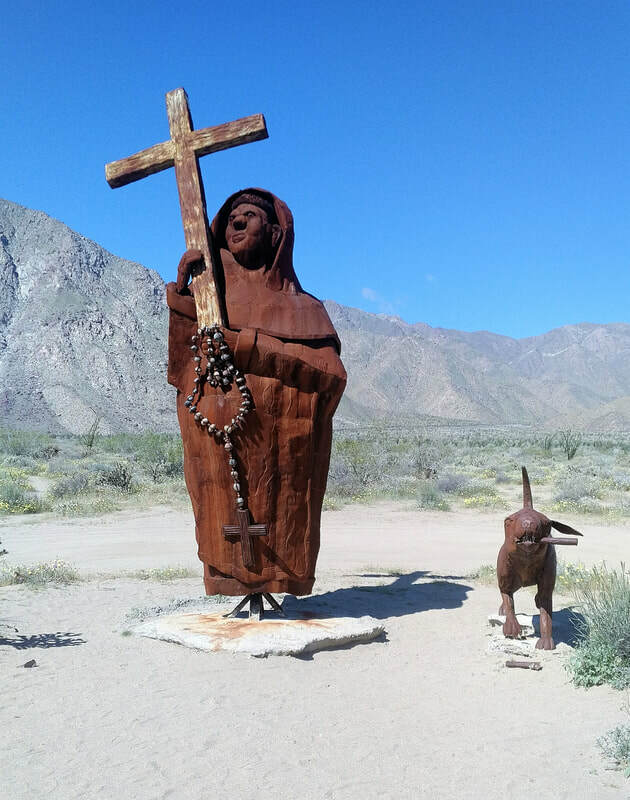 The Anza-Borrego Desert is a land of many faces, where the twist and turns of each canyon reveal a unique charm and beauty. 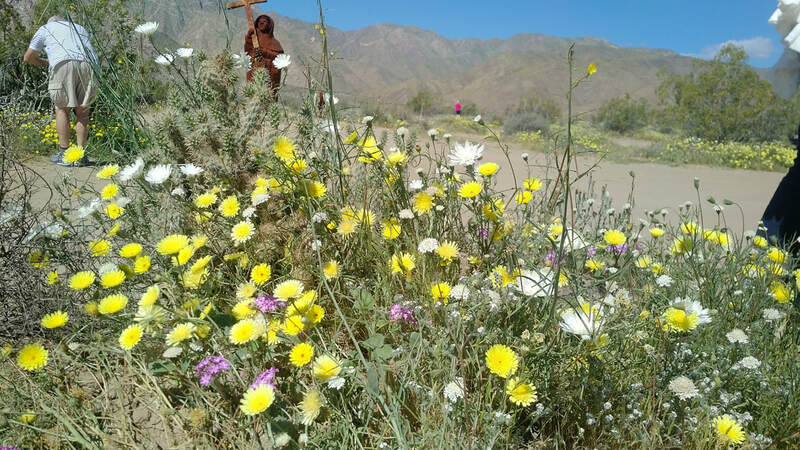 From the colorful Borrego badlands east of Borrego Springs to the forested slopes of the Laguna mountains, and the desert wildflower blooms that follow the rains of winter, diverse plants and animals have adapted to many different life zones. 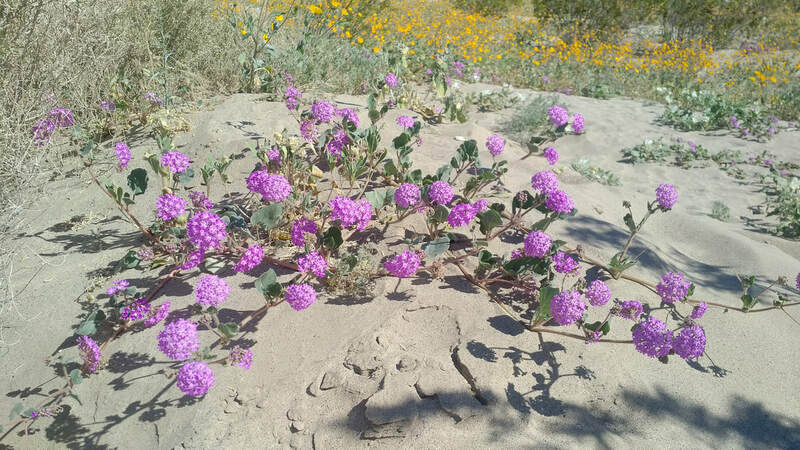 The desert is a harsh land, but life is everywhere. 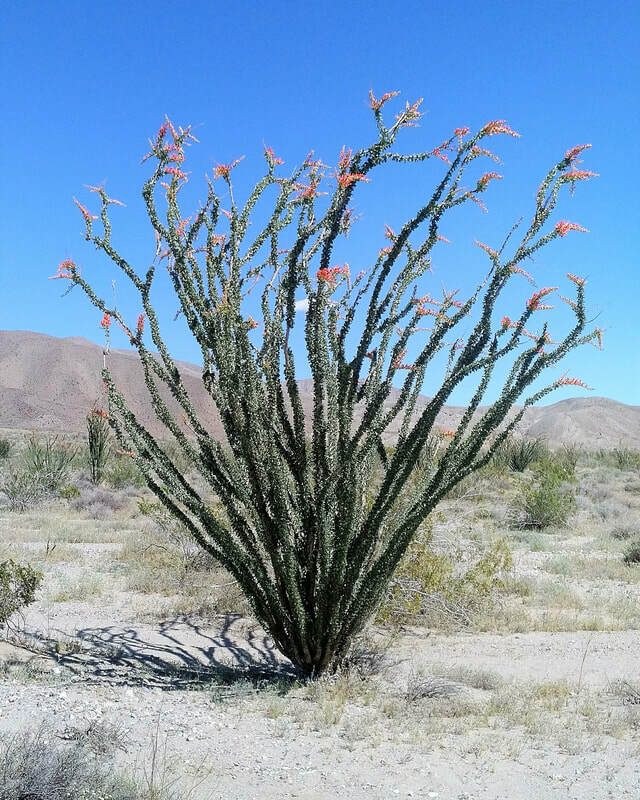 Bloom Prediction for 2019 - "Bursting with Blooms"
Desert Research Botanist Kate Harper has been making field observations over the past weeks and has just issued her prediction for the 2019 bloom season. We are on track for a very good bloom this season with just a couple of weather conditions that could derail a Bursting-with-Blooms “Spring” this year: multiple days of below freezing temperatures or multiple days of super-hot temperatures. Either of these could impact the plants. 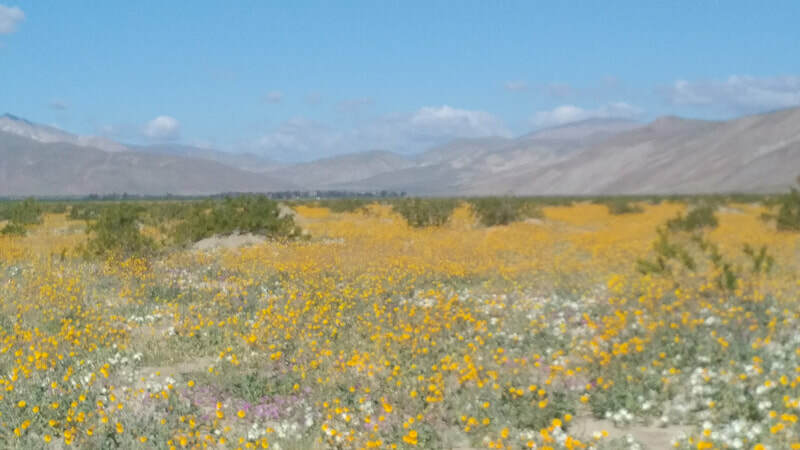 The park has received rain starting in October through the winter and continuing in January. So, does this guarantee us a Bursting-with-Blooms “Spring” this year? Yes! Almost. 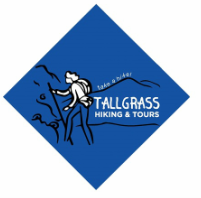 Let us design a wildflower tour just for you or your group. Our knowledgeable guides will not only know when and where flowers will bloom, they will single them out by name. You will admire their beauty and take-home pictures to enjoy over and over.